“Following an assessment of the pilot by the GNAAS medical team, he was transferred to the Bell stretcher. A 400m lower in darkness down the side of The Cheviot then followed to a location below the cloudbase. Thankfully the Coastguard helicopter was able to land on and the pilot was transferred into the helicopter for onward transport to hospital. 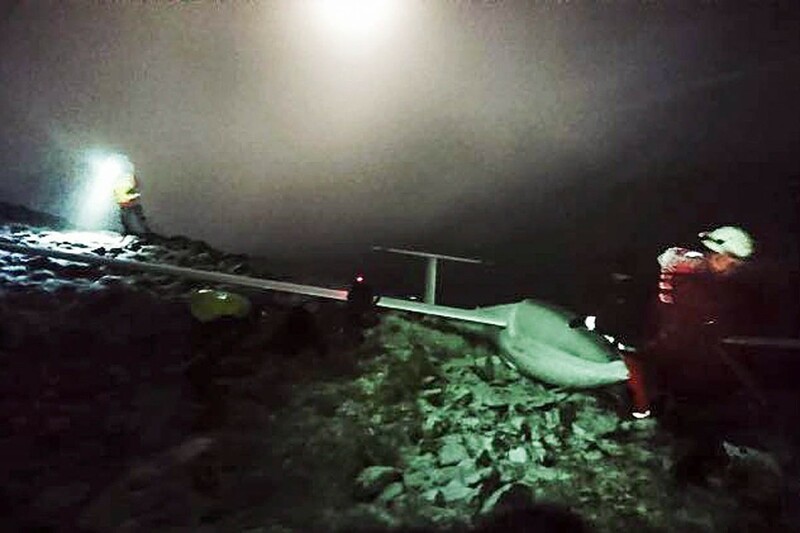 “The teams would like to pay particular thanks to the two walkers who went to the aid of the pilot and remained with him until mountain rescue personnel arrived on scene. They did an exceptional job of keeping the pilot calm and provided him with additional clothing. 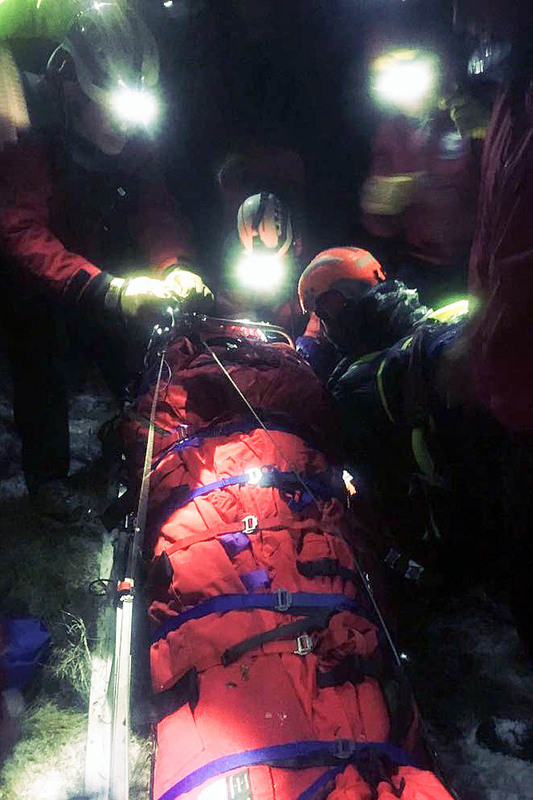 The eight-hour incident involved 29 mountain rescue volunteers. In the past week the two north-east team dealt with four other incidents. On Tuesday they were called to Housesteads on Hadrian’s Wall for a collapsed walker who sadly died. Team members helped recover the body. Two days later Teesdale and Weardale Search and Mountain Rescue Team requested the teams’ help in an ongoing search in Pittington near Durham. Northumbria Police then requested their assistance for a high-risk missing person in the early hours of Saturday morning. The two teams also responded to an injured competitor in the Montane Spine Race – the non-stop race along the full 268 miles of the Pennine Way from Edale to Kirk Yetholm. The spokesperson said: “The competitor had collapsed on the moors north of Bellingham and was found by a fellow competitor, who cared for him until the event’s safety arrived to provide emergency care. Did some flying on gliders myself - the weather seems to have been far from ideal... Fine job by everyone, though.